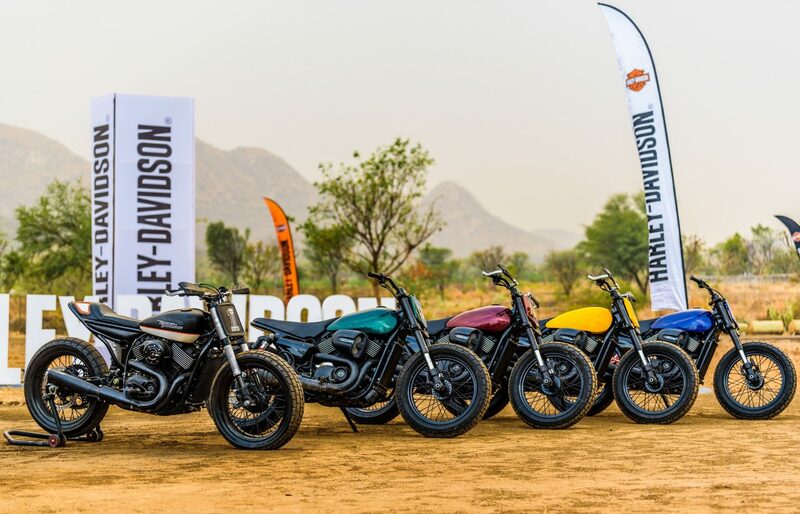 Harley-Davidson gets the Di Traverso school to India. Things go sideways, and how. Amongst the deluge of dust and roaring V-twin engines, there exists a banquet of motorcycling skills that are yours for the taking. 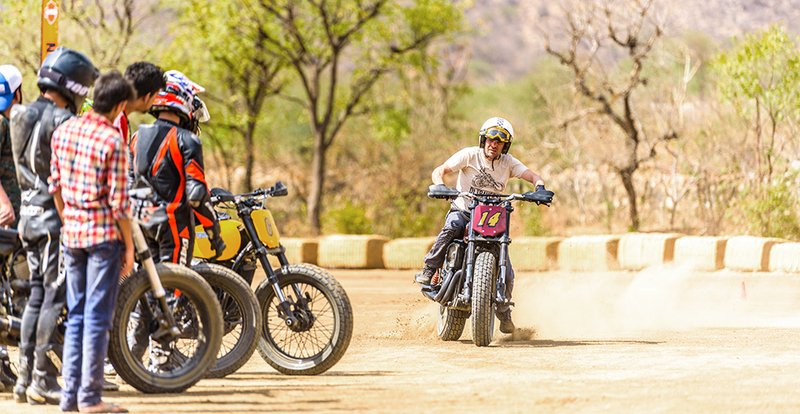 One of the first forms of motorcycle racing, flat track racing still lies at the core of two-wheeled motorsport, and for good reason. It being the simplest format of motorcycle racing does not mean that it is in any way the easiest to conquer. There is a vast array of technique and limits to be learned. All of this can only be achieved by jumping in the saddle, leaving all you know from other forms of motorcycle riding aside, and truly understanding the intricacy of going sideways on a motorcycle on a dirt track while simultaneously trying to not soil yourself. Flat track racing is a constant learning curve, and only those who survive it have the barest inkling of what it actually is. Sure, it may sound all boring and easy to do; here’s an oval track, here’s a motorcycle, go around it a few times and be done with it. But when you consider entering a corner at over 140kph with no front brake, uneven dirt surfaces, and other racers at the same speed as you, barely a few inches away, things start to get a little complicated. Flat track racing originated in North America and tracks consisted of hard packed or compacted mud or sand, which was then soaked in used engine oil and sprinkled with the wholesome goodness of different types of gravel. All of these ingredients made each track quite unique, and the one we have here is no different. 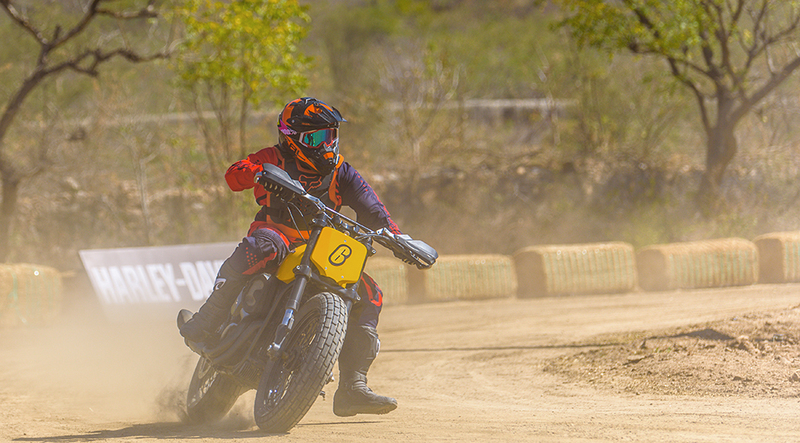 Enter the John Singh Speedway, the first of its kind in India, an initiative by Vijay Singh Ajairajpura, owner of Rajputana Customs and builder of the customised Harley-Davidson Street Rod 750s for this track. 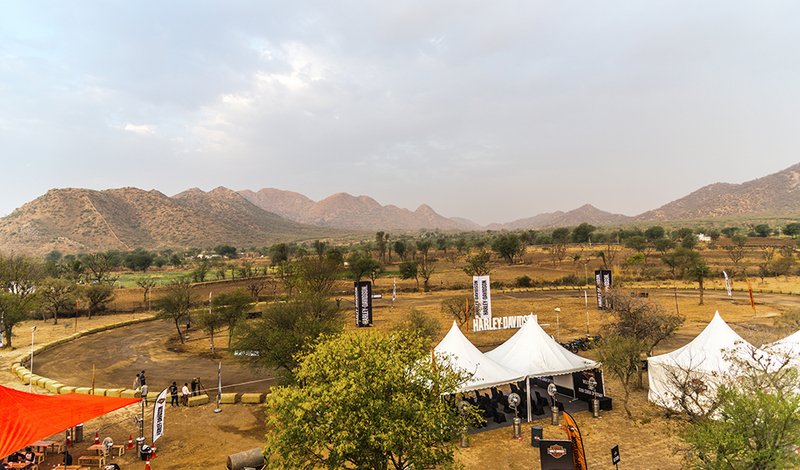 John Singh Speedway was built to commemorate the life and achievements of his grand uncle, the late John Singh; an ex motorcycle racer and conservationist. 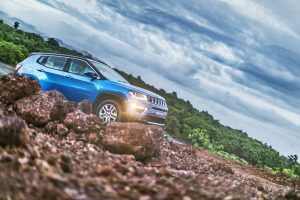 The track is located about an hour’s drive away from Jaipur city and lies in what can only be described as the middle of nowhere. There’s nothing around except jagged hills and a sprinkling of wild animals. And then all of a sudden, echoes of rumbling V-twin engines bounce off the landscape and a flat track springs up in the midst of one of the valleys. Viewing it for the first time is a strange sensation, to say the least. But, in keeping with the preservation of such pristine locations, Vijay’s father (whose land the track is built on), decided to opt out for engine oil and soak the track in organic soya-bean oil instead. It’s a great concept and all that, but truth be told it just doesn’t work very well as a flat track surface. The surface was either too soft when wet, or too loose when dry. Of course, what’s the use of having a flat track at your disposal, four prepped bikes, and only two days to learn how to ride them on the track? Here’s where Marco Belli steps into the picture. Ex-flat-track champion and founder of the Di Traverso flat track school, Marco is probably the best person in the world you could learn this discipline from. No, this isn’t one of those times I’m exaggerating for effect. Marco is the man that has designed the track at the very same ‘Ranch’ that is owned by Valentino Rossi. Aside from having a very successful racing career himself, having Rossi on speed dial is a bit of a testament to the fact that you know what’s going on with motorcycles and racing. But let’s finally get down to what it was like riding on the track. While the Street Rods have been modified for flat track racing, it feels like they may need a little more work with relation to the seating geometry to make them a little more flat track friendly. The tank’s just a little too long, so you end up having to sit on the tank itself while cornering. Or maybe that’s just my personal opinion. But honestly, flat track is like nothing else I’ve experienced before; and I have done a decent amount of off-road riding in the past. First, there’s getting used to the sensation of not having a lever where the front brake should be. You eventually learn how important throttle modulation and position is. You have to be more precise with where you roll on and off the throttle, simply so you can avoid using the rear brake and make the most of engine braking. Then there’s the lines. Although this is an oval, and road riding dictates one apex per corner, with flat track you end up using a more diamond like shape and end up having two apexes in each corner. This is so you utilise the full width of the track and carry more speed into corners. You also don’t have the luxury of ruts, like in motocross. 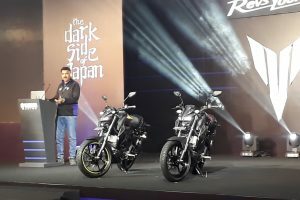 So you have to find a fine balance between sliding the motorcycle just enough so it gives you a proper drive out of corners, without losing too much time in wheel spin. Lucky for us, the new Managing Director of Harley-Davidson India is an all round stellar bloke named Peter MacKenzie. I say this because Peter himself is an ex Enduro racer from Australia. So you know he’s got motorcycling in him. It’s always good to have a rider at the helm, rather than your regular bean counters. 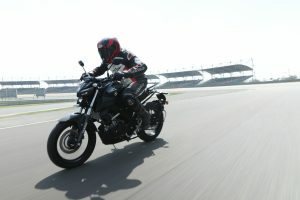 And the fact that Peter himself jumped on a motorcycle and seemed pretty comfortable around the track without much training is a very good sign. This flat track school is a wonderful initiative by Harley-Davidson and we do hope they increase in frequency. 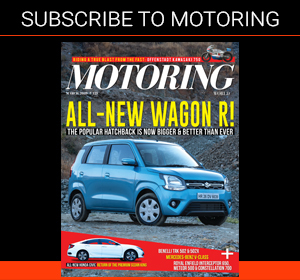 If only the cricket fans would break their star struck gaze for a moment, we could be looking at the birth of an all new form of motorsport in the country.